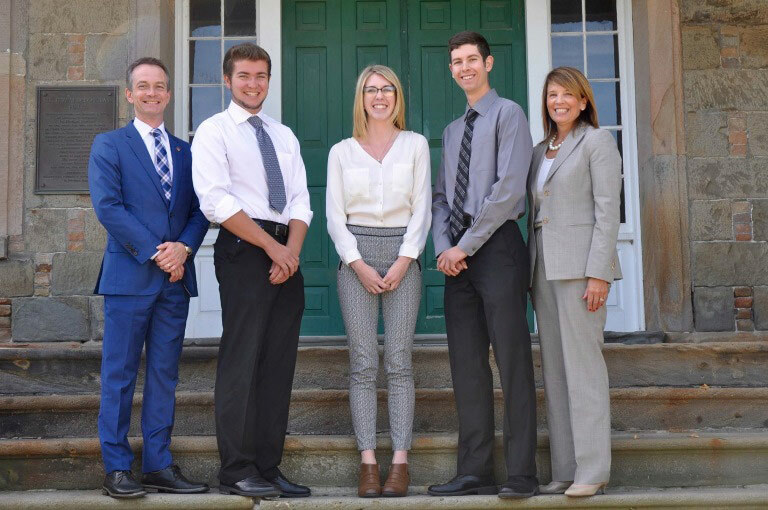 Dr. George MacLean, vice-president (academic), UNB Fredericton; Caleb Waite; Ashlyn Moody; Cameron Arthurs; Colleen Baxter, vice-president of human resources, JDI. The University of New Brunswick and J.D. Irving, Limited (JDI) are pleased to announce the 2016 recipients of the JDI NB Scholarships at UNB. Congratulations to Ashlyn Moody of Blackville, N.B., studying chemical engineering; and to forestry students Cameron Arthurs of Carter’s Point, Kingston Peninsula, N.B., and Caleb Waite of Belleisle Creek, N.B. All three are enrolled at UNB’s Fredericton campus. The scholarships are valued at $8,000 per year and are renewable up to $32,000, based on academic performance. The scholarships are funded by a $1 million gift to UNB made by JDI in 2007. They provide students with the freedom to focus on their education, setting them up for success after graduation.